Mulled Cranberry Zinfandel Conserve | We Like to Cook! Cranberry sauce can be so banal. Guests at your holiday table might be surprised to see a homemade variation because they are so accustomed to the tubular, semi-opaque, gelatinous mass with a flavor far from that of actual cranberries. 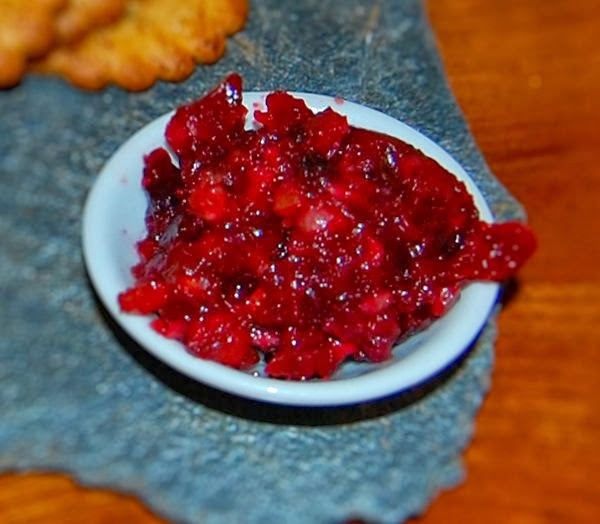 Pairing cranberries with currants amplifies their sweetness. A full-bodied red wine adds depth and toasted hazelnuts add an unexpected crunch that will surprise and please your guests. The recipe is for a conserve which is simply a jam or preserve that includes nuts. Many different kinds of nuts shine in this combination: almonds, cashews, walnuts and pecans are all superb, retaining their crunch after even months in the jar. Make sure the nuts are fresh and toast them to ensure the deepest flavor. Because the tart bitterness of the conserve is mellowed by the wine and raisins, not only can it liven up leftovers as a sandwich spread, complement sharp artisanal cheeses, but it can also find wider use as jam, paired with English muffins or toast made with crusty bread. If you have the time or inclination, tuck it into jars, process it in a hot water bath and you’re ready for holiday gift-giving. 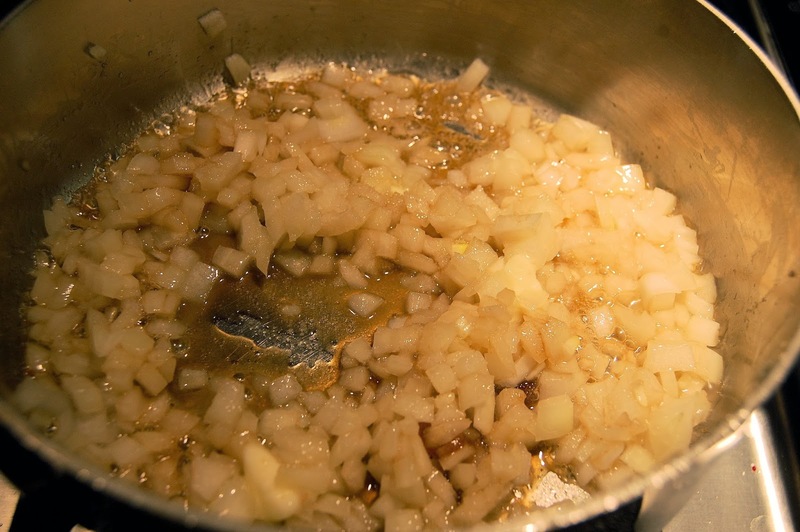 In a large skillet over medium-low heat, melt the butter and add the onions. Stir or shake the pan to prevent sticking or burning. The onions will get soft and then translucent. Sweating the onions concentrates their flavor and enhancing conversion from starch to sugar. Heating the onions releases their aroma and reduces the chemical bitterness they exhibit when raw. Stir in the brown sugar and vinegar and cook uncovered, over low heat for about 5 minutes or until the sugar is dissolved and the onions are fully incorporated. The mixture should look jammy. Set aside. 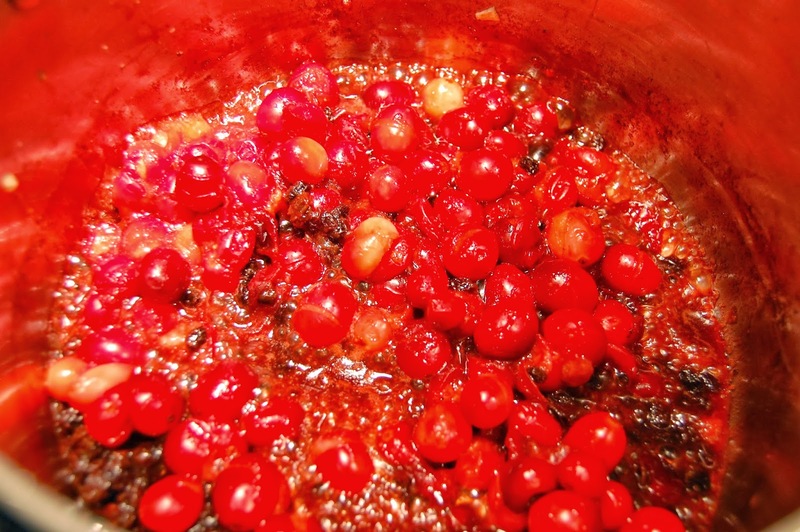 In a large saucepan combine cranberries, currants, wine (a full-bodied red wine such as a Beaujolais or Merlot can be substituted if a Zinfandel is not available) and mulling spices. Bring these to a boil over medium heat, stirring occasionally. Continue to cook, uncovered, over medium heat for 5 minutes. Don’t over stir or you will break up the cranberries which will pop open as they heat through. 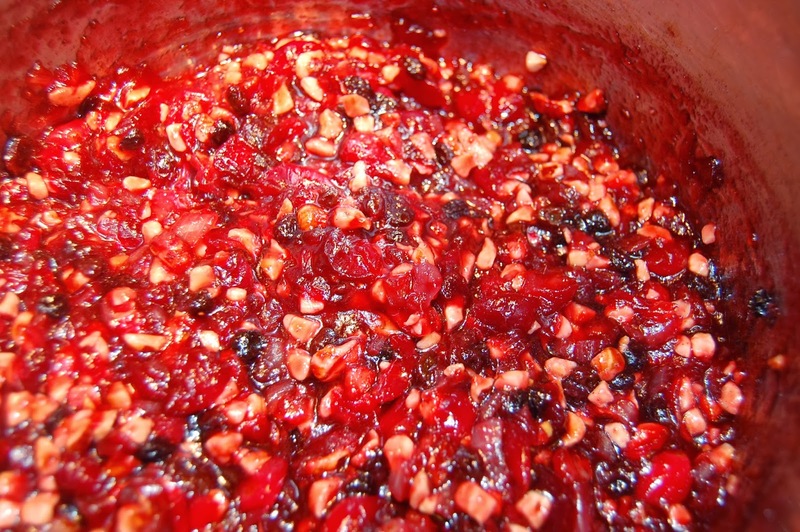 Gently stir the onion mixture and granulated sugar into the mulled cranberry mixture. Return to boiling and then reduce the heat to low and simmer softly, uncovered, for another 10 minutes, stirring frequently and gently. Remove from the heat and gently stir in hazelnuts. Allow to cool and transfer the conserve to airtight containers or jars. Serve immediately or cover and chill until ready to serve. Any unused conserve can be stored in the refrigerator through the holiday season. Extras can be processed in a hot water bath for holiday gift-giving.